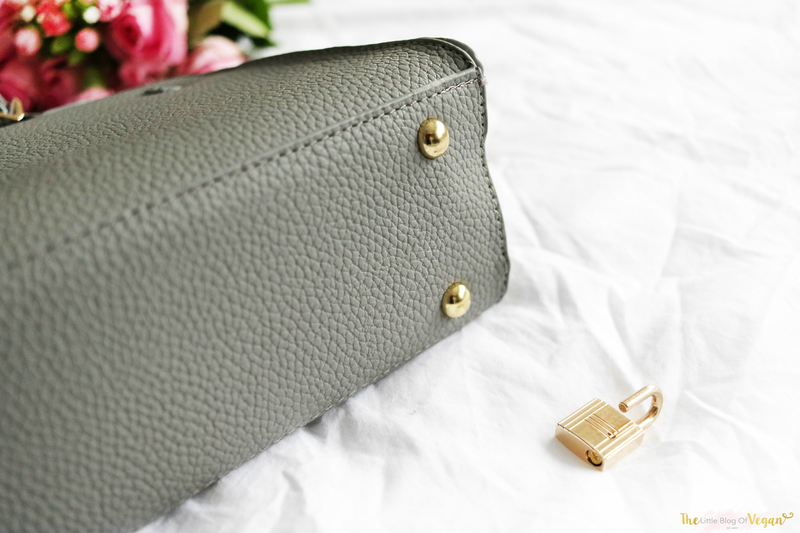 I am really fond of finding new vegan bags and accessories, and I recently came across a company which I love and I wanted to share with you guys. Conspire Couture (a UK-based fashion company) focus on 'making the world a better place through fashion'. 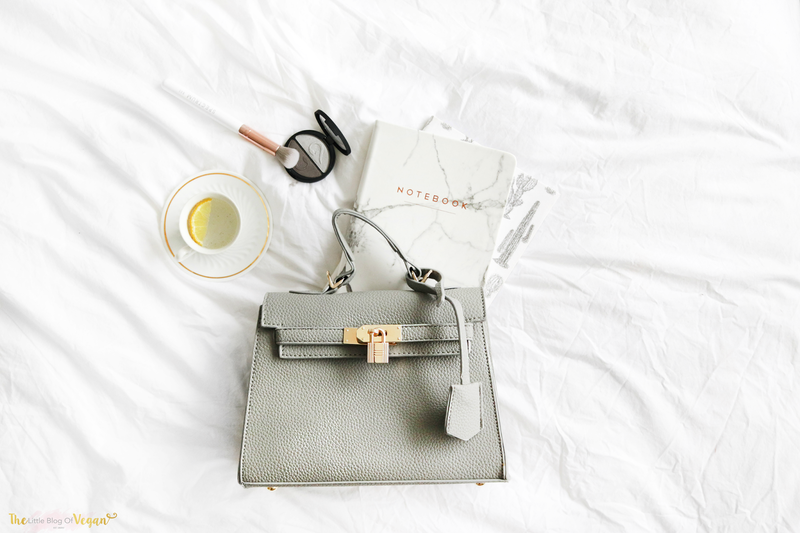 All of their bags are vegan & cruelty-free, using high-quality materials. "Our brand mission is to prove to the world and the fashion industry that chic, luxury and high-quality fashion does not have to include harming our animals." Agreed! I love to mix up the size and shapes of my bags for day trips out or events/occasions. It can really add something to your whole look! The 'Stylish Chic' bag caught my eye. I was absolutely smitten when I first saw it, it's beautiful! 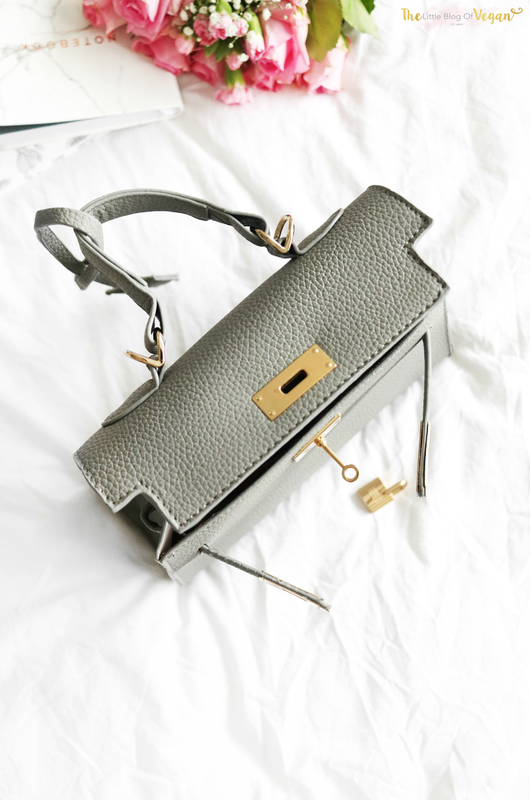 It's a mini grey handbag with gold detailing with a small handle and a long, cross-body strap. Even though it's described as a mini bag to what I am used to, it fits in a large purse, large phone, makeup....it's quite deceptive. 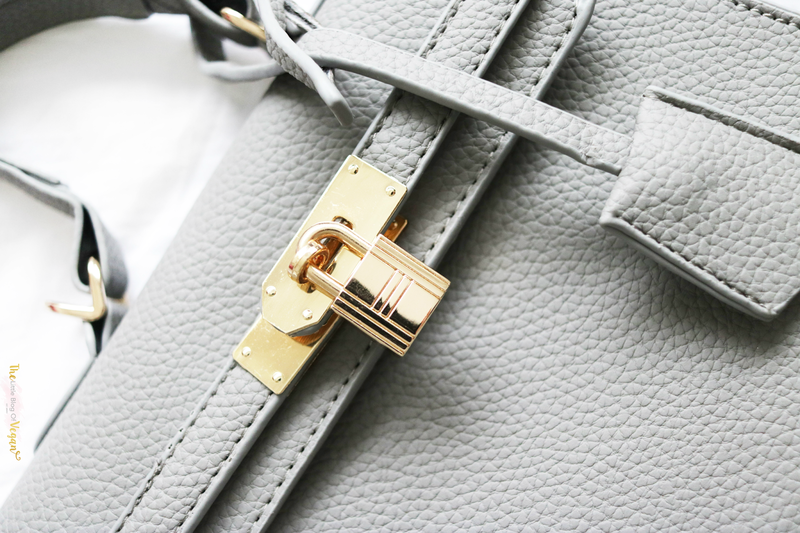 It has a metal lock decor which drew me to this bag. 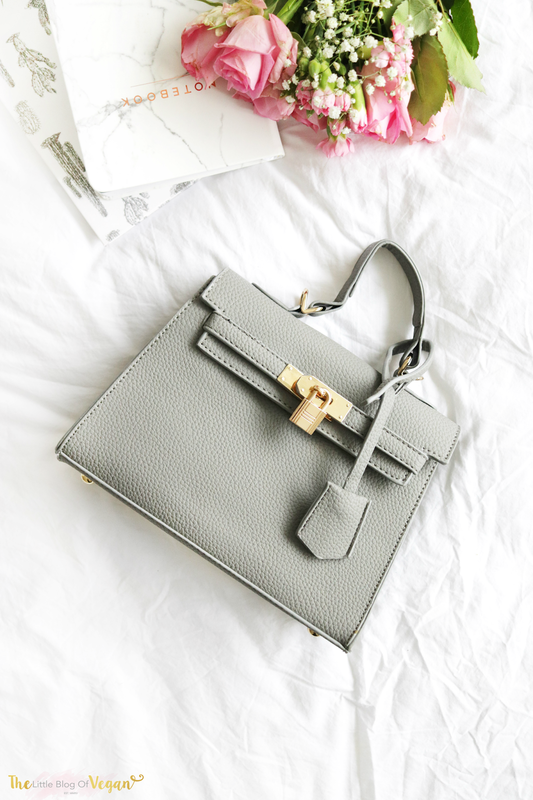 It reminds me of the Birkin bags, but a cruelty-free version...yay! Fashion can be stylish without hurting animals! Always a winner. Apart from the stunning golden decor, the bag is made out of PU man-made leather which feels extremely durable and high quality! It looks very simple, chic, classy and modern too which I love. As it's quite minimalistic, it's an accessory which can be dressed up or down, with any outfit, it looks adorable with a little black dress!!! 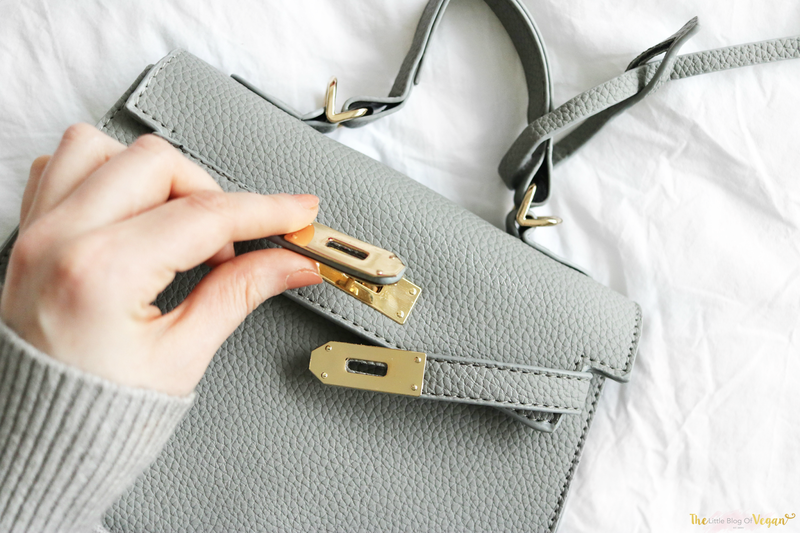 Everything from the stitching handles to the lining is beautiful and very clean and crisp looking. I love the fact it has studs on the base of the bag, these prevent damage or dirt to the bottom bag, bonus!! There is an elegance to the Conspire Couture collection and looking through their products, there is a bag for everyone! They are affordable and extremely good quality! I highly recommend!! !